The novel starts with a reference to Dickens’s A Christmas Carol, “God was dead: to begin with,” but is set around a curious Christmas visit to his mother Sophia’s home by Arthur just after his girlfriend Charlotte has left him but he wishes to disguise that fact. Accordingly he hires a woman he sees at a bus-stop to pretend to be Charlotte. His mother has been neglecting herself, and has no food in the house so Arthur summons his aunt Iris to rescue the situation. Since Iris, a lefty, and Sophia, a staunch Tory, have been at loggerheads – indeed not speaking to each other – for years this leads to some strained conversations, not least when Charlotte’s impersonator rather lets the cat out of the bag and reveals her name is Lux – and that she hails from Croatia. Like most of Smith’s novels there seems a sort of – I can only say coldness – at Winter’s centre. Her Seasons sequence (I reviewed Autumn here) was supposedly conceived as a response to the EU referendum result. The relevance of that to the content of Autumn was muted but here, while it is not the main preoccupation of the characters (Charlotte’s social media trolling of Arthur is a sort of running joke in the narrative,) it is undeniably the sea-swell under their surface interactions. And it is all presented with that unjustified right margin Smith’s books always seem to have. Hamish Hamilton, 2016, 270 p.
This is a short novel, very short. Nevertheless it has no fewer than five epigrams. That it starts with the sentence, “It was the worst of times, it was the worst of times,” is perhaps a signifier that it aspires to literary memorability. It was written in the aftermath of the 2016 referendum on the EU and reflects (though only in asides) the divisions in the country which that revealed but addresses more fully the latent racism which it brought to the surface. The book has that unjustified right-hand margin that is a feature of Smith’s publications and like Andrew Greig’s When They Lay Bare, which I read immediately prior to this, does not use quotation marks for dialogue, which impairs comprehension not at all. The narrative is mainly concerned with Elisabeth Demand who as a child formed a friendship with her much older next-door neighbour, Daniel Gluck, but also has an eye for the absurdities of everyday life. Along the way Elisabeth develops an interest in the female Pop Artist Pauline Boty who Elisabeth finds has been all but removed from the histories of British Pop Art because she was a woman. The novel is good on Elisabeth’s problematic relationship with her mother but appears a little unfocused, indeed rambling at times. It’s all easily taken in and has some amusing moments but like most of Smith’s writing (with the possible exception of How to be Both) it’s all a little flat. I don’t feel the burn. Borrowed from a doomed library. The book cover and spine have “Public library” as the title but the colophon shows “ Public library ” (actually struck through several times.) As is usual in Smith’s output the left hand margin is justified but the right hand one is not – curiously, though, the acknowledgements page has the reverse. The prefatory “Library” is an apparently true story about Smith and her publisher coming across a building emblazoned Library; but it’s an exclusive club instead. Smith’s stories are interleaved with Smith and her correspondents’ memories of libraries and their importance to civilised life. These interludes are entitled “that beautiful new build”, “opened by Mark Twain”, “ a clean, well-lighted place”, “the ideal model of society”, “soon to be sold”, “put a price on that”, “on bleak house road”, “curve tracing”, “the library sunlight”, “the making of me” and “the infinite possibilities”. As in Smith’s previous collections the short stories included here tend to have similar structures whereby the narrator will start off on one course and then veer onto another, and on occasion a return to the first topic will occur. In Last the narrator sees a wheelchair-bound woman has been left behind on a train. While she tries to effect a rescue she muses on the changing meanings of various words. Good voice is narrated by a woman who speaks to her dead father and ruminates on the First World War. In The beholder a woman who has suffered a series of life altering events finds a growth on her chest. It seems to be a rose. The poet relates the life story of the poet Olive Fraser whom Smith imagines being inspired by finding printed music on the binding (made from recycled old paper stock) of one of Walter Scott’s Waverley novels. The human claim dwells on the unlikely connection between an unauthorised credit card transaction and the fate of D H Lawrence’s ashes. The ex-wife has a woman trying to come to terms with breaking up from her ex-wife because she was so obsessed with Katharine Mansfield. In it Smith says, “What the writer does is not so much to solve the question but to put the question.” She also utilises the word pompazoon; as Mansfield did. In The art of elsewhere the narrator tells of her desire to come upon some kinder, better, less constrained existence. After life. A man is twice reported dead; both times falsely. The second time no-one cares. This leads him to muse on the vitality shown in the Mitchell and Kenyon films of turn of the twentieth century life. In The definite article the narrator has an epiphany after lingering in Regent’s Park on the way to an important meeting. Grass A book of Robert Herrick poems brings to the narrator’s mind an incident which occurred when she was minding her father’s shop during an Easter break in her finals year. In Say I won’t be there the narrator has an ongoing discussion with her partner about not revealing the contents of her recurring dream which features Dusty Springfield (about whom her partner knows a lot more than her.) She tells us the dream instead. And so on’s narrator ruminates on a friend who died young and her illness-induced imaginings that she was a work of art in the process of being abducted. The conceit of this book is that it contains two stories separated in time by five centuries but which can be read in either order. Two different versions – indistinguishable from either the cover or the publishing details – were printed at the same time but with the story orders reversed one to the other. The stories’ connection is via a mural in the Palazzo Schifanoia, Ferrara, Italy painted by one Francesco del Cossa about whom little is known. In fact nothing was known about him until a letter from him to his employer was discovered four hundred years after his death which demanded higher payment for his work than others on the project were to receive. In my edition the first story is that of Francesco (though the Italian spelling Francescho is used throughout it; Smith frequently uses Italian-type spellings in this section – azzurite for azurite etc ) told as “his” stream of consciousness at a point in time when “he” may be dead, in purgatorium. The inverted commas are cause (the author unfailingly employs this version of the conjunction) Smith imagines Francesco as a woman. There are internal details of del Cossa’s paintings which argue for this possibility. The first and last few pages of Francesco’s tale are laid out in a typographical manner more akin to experimental poetry than prose. This made the narrative more tricksy and difficult to get into than it need have been but once Francesco’s story had been embarked on and the relationships within it established this barrier disappeared. Another narrative quirk here is the parenthetical interjection of the phrase ‘just saying’ at various points in Francesco’s tale. As is usual in Smith’s books, in How to be Both as a whole, the right hand margin is never justified. The modern narrative is that of Georgia (Georgie Girl, aka George) whose mother (now dead) had developed an interest in del Cossa’s mural and took George and her brother Henry to see it in Italy. The mural and del Cossa’s work in general become a fascination for George. Smith’s intentions are perhaps summed up by the passage about “how to tell a story, but tell it more than one way at once, and tell another underneath it up-rising through the skin of it.” Apart from the pseudo-poetry her prose flows extremely easily. I’ll never know now of course but I doubt whether the connections between the two versions of the book would work as well if read with the modern section first. Polygon, 2004, 249 p, plus vi p introduction by Ali Smith. (Not borrowed from but) returned to a threatened library. Of George Mackay Brown, a native of Stromness in Orkney, Wikipedia says “he is considered one of the great Scottish poets of the 20th century.” He nevertheless also wrote plays and prose. This novel, Greenvoe, is in the list of 100 best Scottish Books. While showing many of the characteristics of Scottish writing – the descriptions of landscape and, here, seascapes, a sense of things lost, the pervasiveness of Calvinism – Greenvoe is also distinctly Orcadian. The novel is set mainly in the titular village on the fictional island of Hellya and follows the lives of its inhabitants over the course of six days, focusing on each in turn. Over time this builds up into a convincing portrait of the village and island life but one of the drawbacks of Brown’s approach is that before we have had the opportunity to get to know them well we are thrown over twenty named characters in the first few pages thus making keeping track difficult to begin with. The population includes three fishermen, the wastrel Bert Kerston whose wife Ellen feels much put-upon; Samuel Whaness, married to Rachel who bemoans her childlessness and The Skarf (always capitalised) who tells stories of the island’s history in the hotel bar every night. There is a concupiscent ferryman, Ivan Westray; hotel-keeper Bill Scorradale, who substitutes the whisky; an alcoholic minister, Simon McKee, whose mother, racked with guilt, daily imagines her trial on various charges; the local posh girl, Inga Fortin-Bell, home for the holidays; shopkeeper Joseph Evie and his wife Olive; the frustrated schoolmistress Miss Inverary; Alice Voar, “Every man in Hellya has lain with her,” the mother of seven children (each with a different father); elderly Ben and Bella Budge; meths drinker Timmy Folster; and a mysterious hotel guest who sits typing away all day in his room. On the third day the travelling salesman Johnny Singh arrives to make the annual rounds. This section, entirely narrated from his point of view in the form of a letter to his uncle Pannadas – the usual salesman – gives an additional perspective. In it he says, “The island is full of ghosts.” This is a foreshadowing. For like many classic Scottish novels Greenvoe is an elegy. The island life shown here is on its way out – and not merely due to the Government project, Dark Star, which arrives to hollow out the land and cover it with wire fencing. Each chapter of the book (bar the last) covers a single day and ends with a description of the (all different) initiation rites of the Ancient Mystery of The Horsemen. 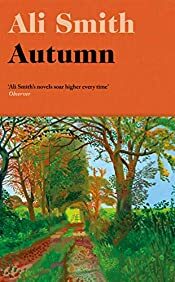 In her introduction Ali Smith suggests that the core of the book is in the one character who never sets foot in Greenvoe, Mrs McKee’s niece Winifred Melville, who has an illegitimate child, refuses to marry the father, becomes a Catholic and makes a living writing novels. This would be to neglect how much island life itself is a pervasive aspect of the narrative, the almost impossibility of true privacy, the inability to avoid gossip, the depredations of the modern world. To my mind it is Mrs McKee herself who is the fulcrum. In one of his perorations her imaginary prosecutor (in fact Mrs McKee’s conscience) tells us, “’Become a Catholic,’ said Aunt Flora. ‘What’s good about that? If you ask me it’s worse than the illegitimate child.’ Hers is, thank God, the authentic, affirming voice of religious Scotland.” Describing an incident in which Mrs McKee allowed Winnie to shelter from the rain in a Catholic Church he adds, “Mrs McKee – whose hand plucked an innocent girl out of a Highland rainstorm into – Lord have mercy on this poor Scotland of ours – the abode of The Scarlet Woman.” She it was too who introduced her son to drink by way of a medicinal toddy. Such are the scars Calvinism inflicts on the true believer. Yet Brown also tells us, “The essence of love is pain; deep in the heart of love is a terrible wound.” Perhaps it is this pain, this wound, that Calvinism seeks, on our behalves, to avoid. Literature (thankfully?) does not. It used to be that, in a saleable short story, one thing happened. Nowadays, perhaps nothing does; or then again several things may happen but the connection between them is obscure. Smith’s stories seem to glide along from thought to thought, full of acute observation, surface sheen unrippled by such vulgar concerns. Her signature style is to tell a story told by way of other stories. As with part of this collection’s overall title, apart from their first words the individual stories’ titles are not capitalised. All their title pages are adorned by a wiring diagram for a three pin electric plug. Only The theme is power bears any significant mention of electrical equipment. Unlike subsequent Smith books the right hand margin here is justified. Smith’s Scottish origins are betrayed only by one or two references. God’s gift. A woman just back from a holiday in Greece is left “gifts” by a cat. One of them she lays on the window sill to see if it survives. The ending could be a fictional interpretation of the Schrödinger’s Cat illustration. The hanging girl. After having had a feeling of being followed, Pauline has started to see images of a girl about to be hanged. She comforts her, and takes her home. Her life is consumed by her. Blank card. A woman receives a delivery of flowers, but the card is blank. Her partner has not sent them. More than one story is… more than one story. A middle-aged man and a woman who lives two or so doors down think about instances from their pasts. Small deaths. A couple’s house, the whole town, is invaded by insects. Virtual. A woman visiting an old family friend in hospital is fascinated by the young girl in the bed opposite who is suffering from anorexia. They make a connection through a virtual pet. Okay so far. A couple on a touring holiday wonder about a young girl who seemed to be travelling on the same train unaccompanied and tell each other storles of their young childhoods. Miracle Survivors. Another disjointed tale which jumps from the story of a mysterious man rescued from a deep snow drift and who tells the fortunes of the nurses who look after him to two teenage girls twenty years later spending New Year in and dialling up horoscopes on the telephone of the newsagent’s they’d entered illicitly. The theme is power is related by one of two teenage girls at a London bus stop who are offered a place for the night by a seemingly kindly woman who then, along with a man, follows their bus journey in a car. Earlier in her childhood a man had exposed himself to her and got beaten up by her father and neighbours. Around the same time someone dobbed her shopkeeper father in to the tax authorities. In adulthood, she still trusts her lover. Instructions for pictures of heaven. A woman looks at faces, car registrations and clouds from the sunny side of the road. Gayle, who works in a travel agent’s, does two good deeds. 16 excerpts from Margie’s life, 13 of which are captions for photographs. Finally, a set of instructions for faking pictures of heaven. Kasia’s mother’s mother’s story. A religious woman whose husband has died, steals a wooden cross from a church and places it in her home as an aid to survival. A story of love. A couple in bed, unable to sleep, tell each other stories. A year slides by while they do so. In The hanging girl a game of famous last words is underway. Sadly, “They couldn’t hit an elephant at this distance,” does not feature. (Even if John Sedgwick’s actual last words, uttered only seconds later, were, “All right, my man; go to your place.”) Also, in Okay so far, in a game of “who is dead” (Ginger Rogers will never die she lives forever, she’s an immortal) Nena – of ninety-nine red balloons fame – is said to be in Purgatory. Harsh; but fair? I picked this up in a local library as I hadn’t read it. The author was born in Inverness and so counts for the Read Scotland Challenge; but see below. Hotel World is not so much a novel as six novellas linked by the accidental death of Sara Wilby, a young woman worker in a hotel. She packed herself into the dumb waiter and its cables broke, plunging her to her death. The novellas each have titles relating to a verb tense; past, present historic, future conditional, perfect, future in the past, present. The first is narrated by the dead woman (after the death,) the second from the viewpoint of Else, a woman begging on the streets outside the hotel where the accident took place, the third is Lise’s, one of the hotel’s receptionists, whose mother is composing a poem cycle called ‘Hotel World,’ the fourth tells of the strange evening experienced by Penny, a later female guest, the fifth is an unpunctuated stream of consciousness of Clare, the dead girl’s sister, the paragraphs of which are connected by and – with the single exception of an I – all start with &, the sixth is an overview of what various minor characters observed earlier are doing in the present moment. As in all of Smith’s novels which I have so far read the text’s right hand margin isn’t justified. This didn’t, though, seem so distracting in this volume. The only hints of Scottishness here are the use of the word skirl, one mention each of the inscription on the rim of pound coins of the motto “nemo me impune lacessit” which was that of the Scottish monarchy (English pound coins have “Decus et tutamen” there,) of the “run-rig system of farming in Scottish History III,” and a town in the misty cold-bound Highlands. This is more than in subsequent Smith novels, though. Several times Smith uses the archaic sounding phrase “back and fore,” where “back and forth” is perhaps more heard, we had pigmy instead of pygmy and foetid spelt in the USian manner as fetid. I’m really not sure what to make of Smith. She can clearly write well, with insights into the human condition, but is it too much to ask for a plot? The set-up for this is deeply weird. A man called Miles Garth has locked himself into the hosts’ spare bedroom during a dinner party. He’s there for weeks, fed under the door with wafer thin ham or from the next door neighbour’s house via a pulley. Eventually he becomes a TV news and internet fad. The narrative is divided into four main parts each named, in order, with the words of the overall book title. There. Is from the viewpoint of a woman who knew Garth briefly as a teenager on a foreign trip called in by the houseowner since her number was on Garth’s phone. But. Is told by Mark, the man who brought Garth along to the dinner party. Mark hears his (dead) mother talking to him in rhyme. For. Focuses on an old woman in hospital, whom Garth always visited once a year. The. A ten year old girl fascinated by word play turns out to be the person who finally makes contact with Garth. As in The Accidental, the right hand margin is not justified. This is irritating every time the book is picked up after an interval as its appearance is unpolished – like a manuscript rather than a proper book. Once into the swing of the narrative again it becomes invisible, though. Ali Smith has appeared in at least one Best New Scottish Writing anthology. There is very little to mark her as a particularly Scottish writer. Only one thing here gives any hint of Scottishness – the use of the description black-affronted. Among Smith’s stylistic quirks dialogue is not rendered in the usual quotes and she also makes significant use of parentheses (some of which last for pages on end) to recount incidents from the earlier lives of her characters. While the writing is fine (Smith can do fine writing) the narrative meanders rather and never really goes anywhere. It’s a bit like a collection of short stories with very loose connections between them. And we never really get to find out why Garth locked himself in someone else’s bedroom. Reasonably successful writer Eve Smart, her philandering lecturer husband Michael and their family are renting a house in Norfolk when they are intruded upon by a female stranger called Amber, who proceeds to inveigle her way into their home, befriend Eve’s twelve year old daughter Astrid and seduce her teenage son Magnus. The novel is split into three sections, The Beginning, The Middle and The End in all of which each family member has a narrative strand. Astrid’s narration is initially irritating as she has a habit of using ie (or even id est) in circumstances which do not warrant it. Thankfully, she – or Smith as the author – grows out of this by The End. Each section is preceded, and hence followed, by a framing narrative in the first person from Amber’s viewpoint. (This does not illumine Amber’s behaviour overmuch.) The unravelling of the Smart family’s life under Amber’s influence is the meat of the book. There are several infelicities. Not only are a couple of characters unsympathetic but the changes of viewpoint initially jar and for a long time the lack of justification in the text irritated me. The ragged right hand margin was too much of a distraction. By The End, though, the characters (apart from Amber) are more established and these concerns fade. I noticed that the “cloud” on my Library Thing tags this novel as Scottish Fiction. 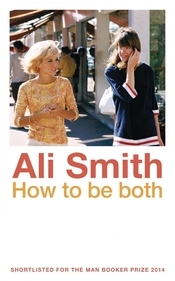 (According to the book’s blurb Smith was born in Inverness in 1962 but now lives in Cambridge.) Fantastic Fiction also designates her as Scottish. There is nothing identifiably Scottish about The Accidental, though; not its setting, its themes, its dialogue nor its vocabulary. Mind you, the same could be said about Allan Massie’s The Sins of the Father or Andrew Crumey’s Music, In a Foreign Language both of which I read recently. Interestingly enough, Library Thing has those two books tagged as Scottish Literature. Design and tech help by Duncan Stephen.